Hernando, Miss. 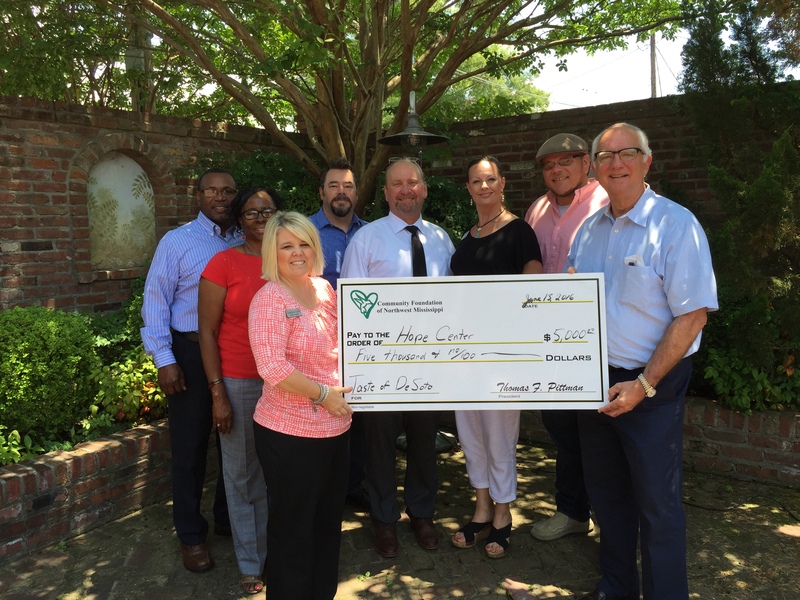 June 13, 2016 – Community Foundation President Tom Pittman awarded a $5,000 check to the Hope Center from the Annual Taste of Desoto event held April 24, 2016 at the Landers Center. The Hope Center is a community center with the mission of improving the community of Horn Lake, Mississippi, by providing safe activities and events for the area’s youth, adults, and seniors. The organization is 501c3 public charity providing human services for citizens of all ages. The Hope Community Center Inc. was one of two charitable beneficiaries of the Annual Taste of Desoto event, which has raised thousands of dollars for non-profit organizations. The Community Foundation has proudly housed this money for funding these fine organizations since 2003.